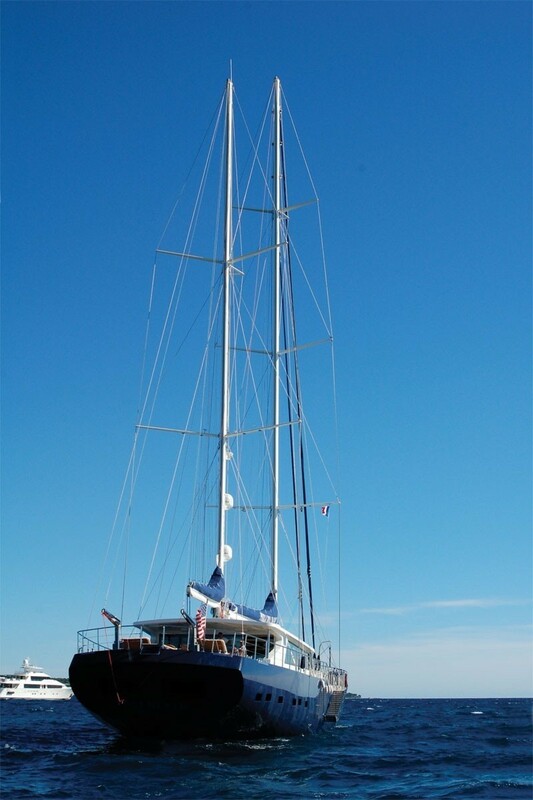 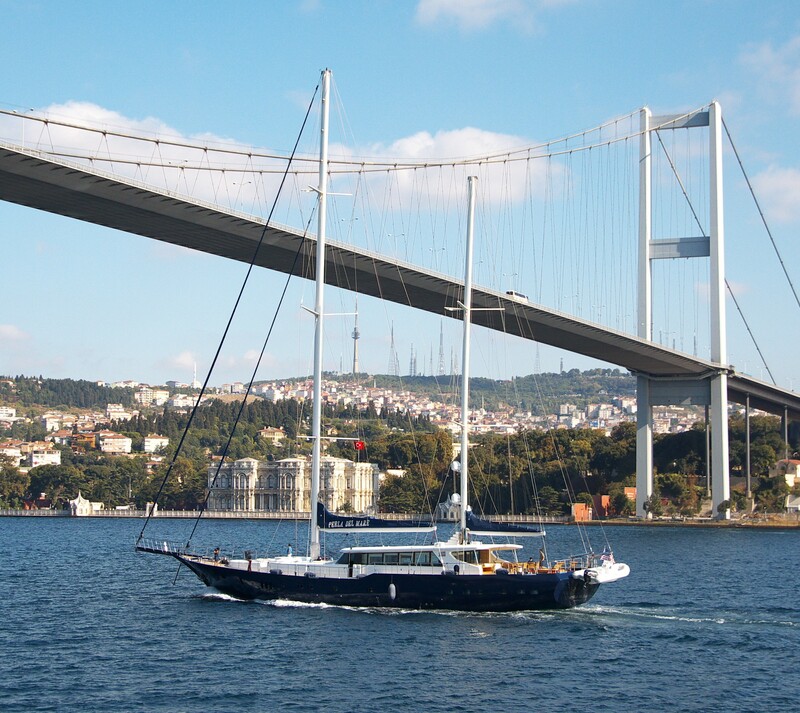 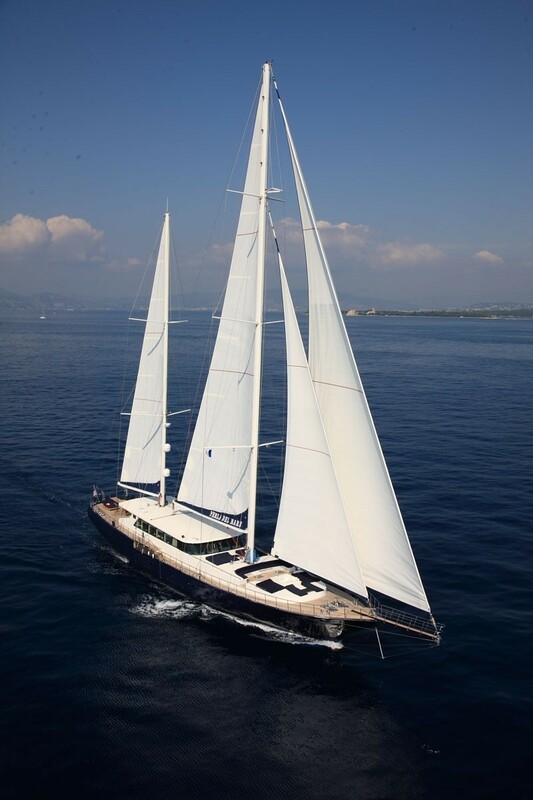 Sailing Yacht PERLA DEL MARE is 42.20m (138' 5") luxury Gulet built by Saba Yachts in Turkey in 2010. 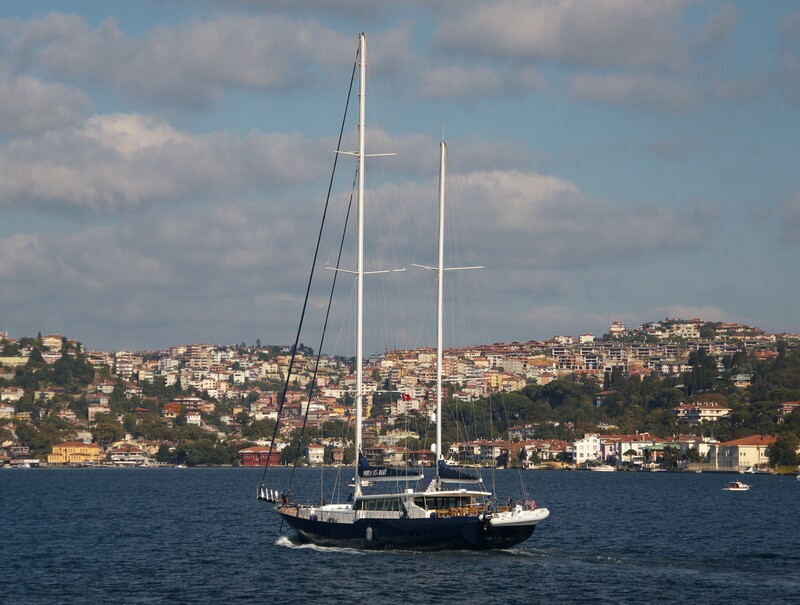 The Traditional styled yet modern Gulet PERLA DEL MARE is able to accommodate up to 12 guests in 6 cabins and charters throughout the idyllic waters of Turkey. 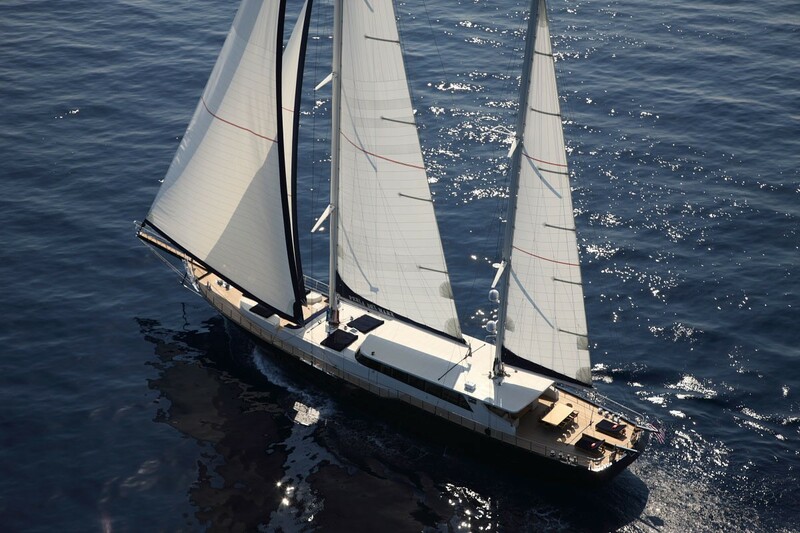 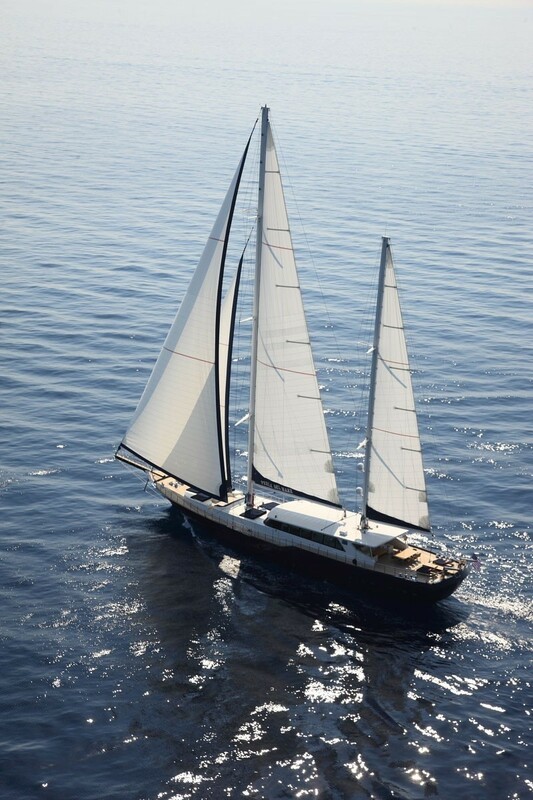 Yacht PERLA DEL MARE is not just a classical sailing yacht she is a totally new class of sailboat. 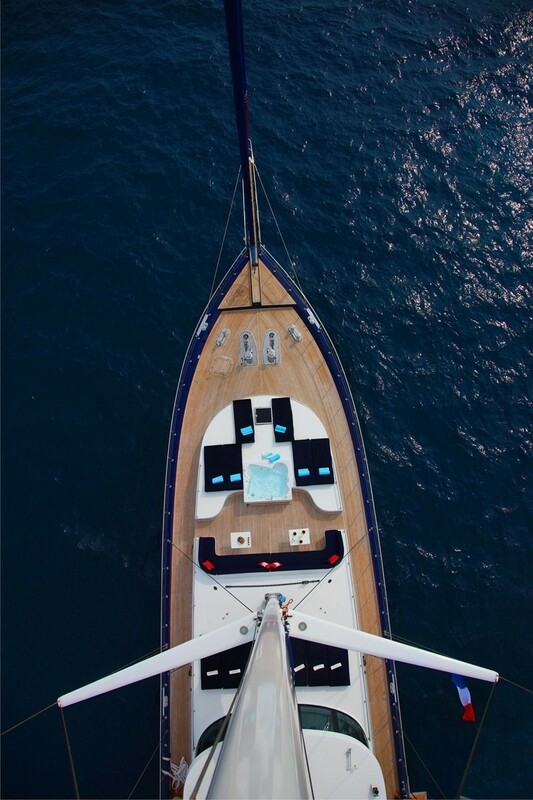 With Mediterranean styling and the cutting-edge performance luxury yacht PERLA DEL MARE boasts pure elegance. 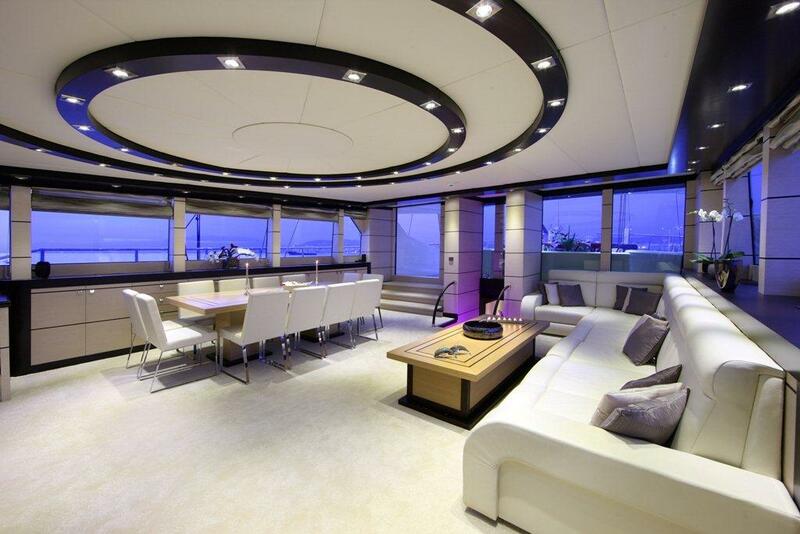 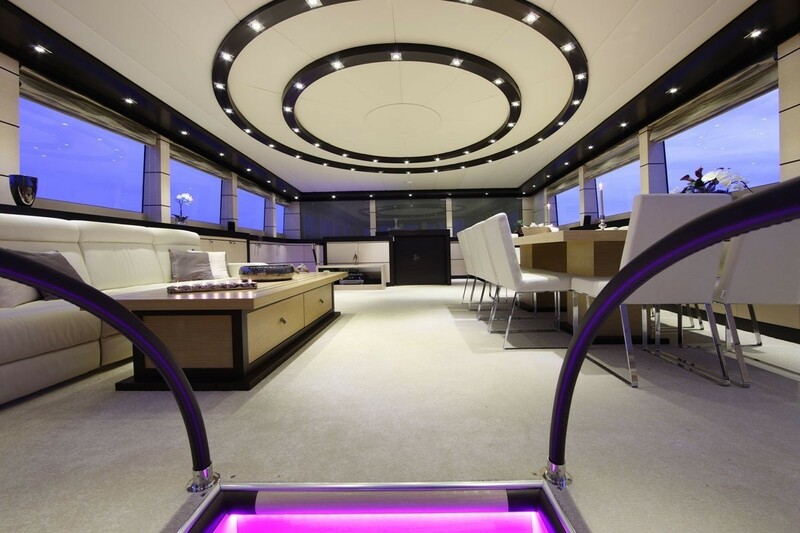 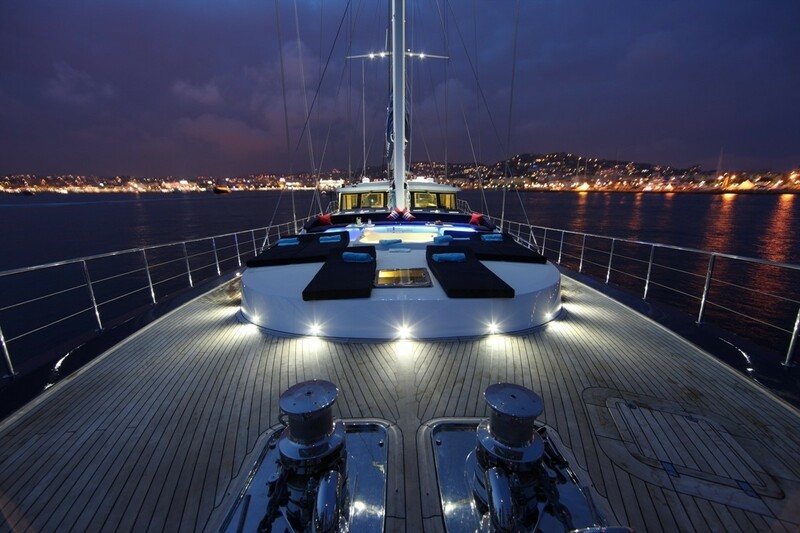 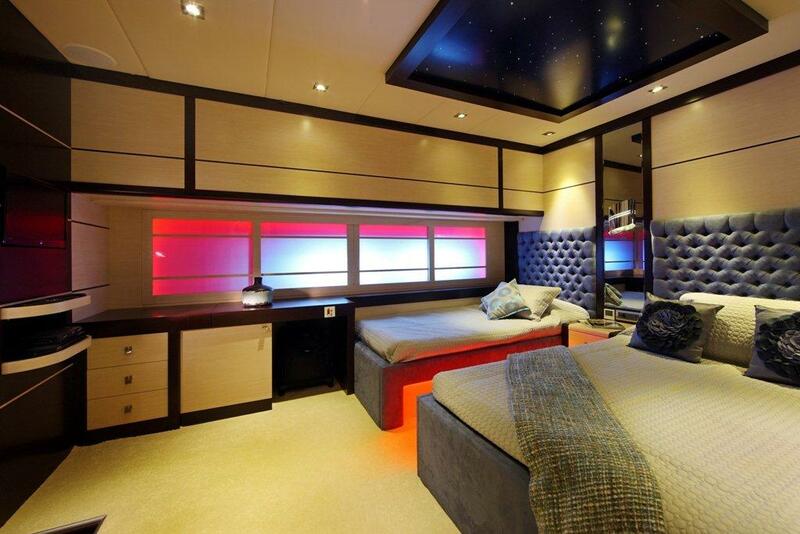 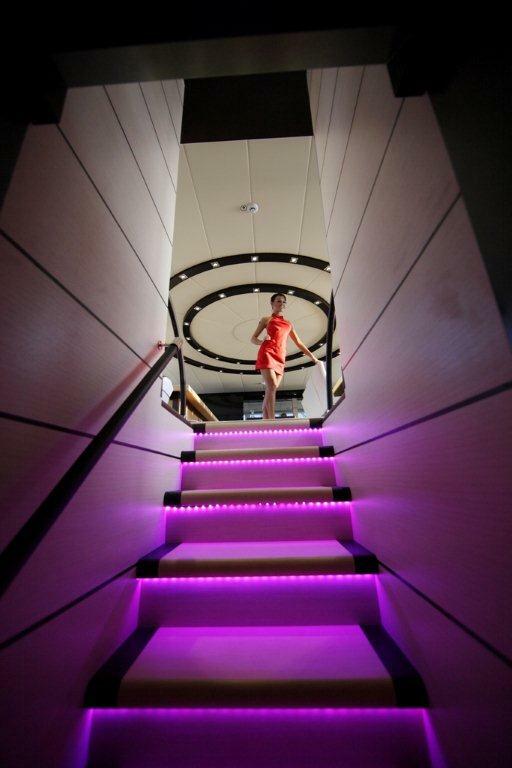 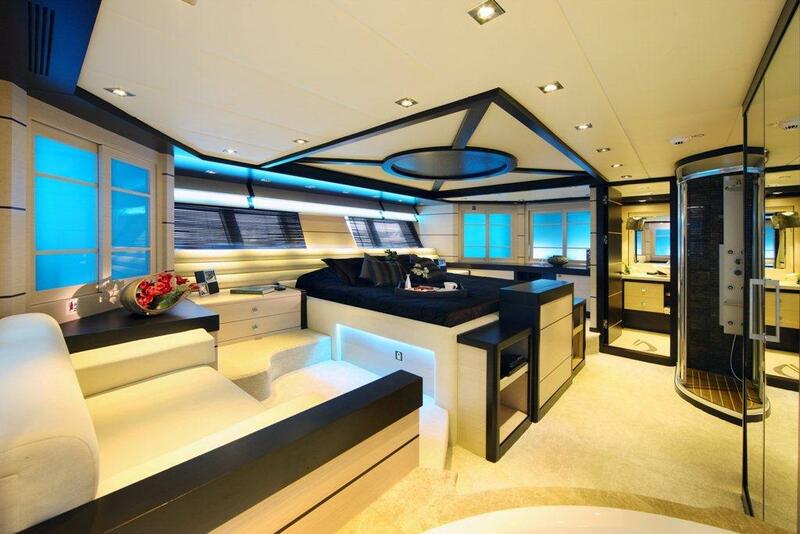 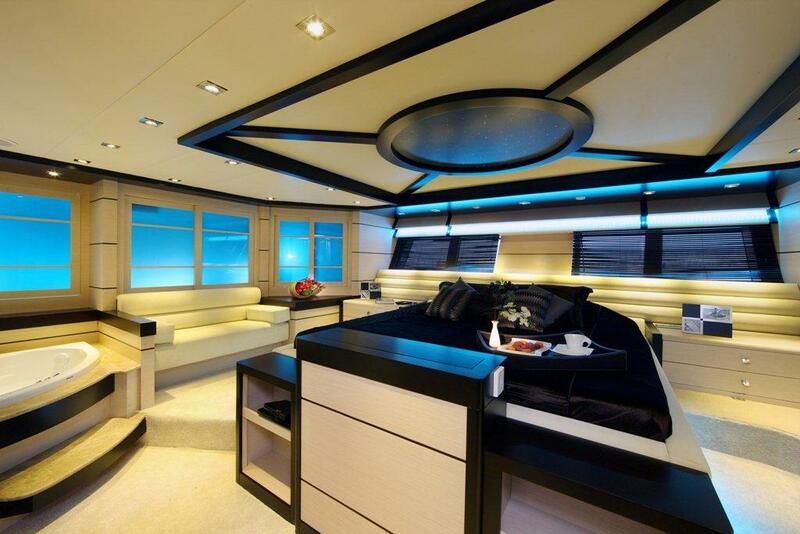 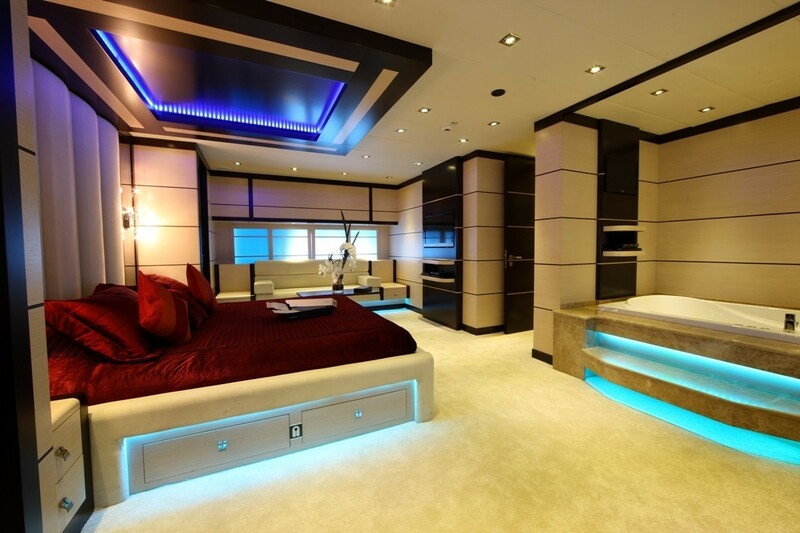 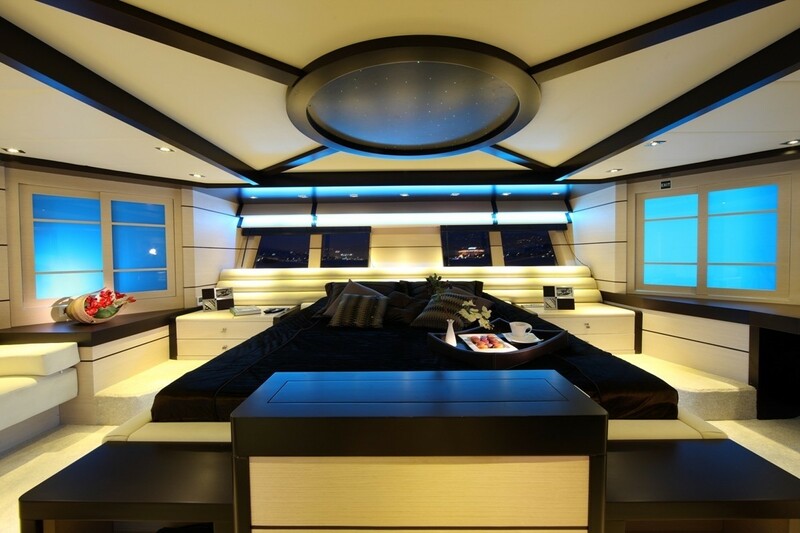 The interior of S/Y PERLA DEL MARE styled by Sabahattin Uçar and Naval Studio is contemporary and minimalist with a black and white colour scheme complimented by splashes of coloured lighting such as the purple / pink illuminated stairs and the aqua teal illumination on the Master Cabin. Gullet PERLA DEL MARE’s main salon is immense with plenty of natural lighting. 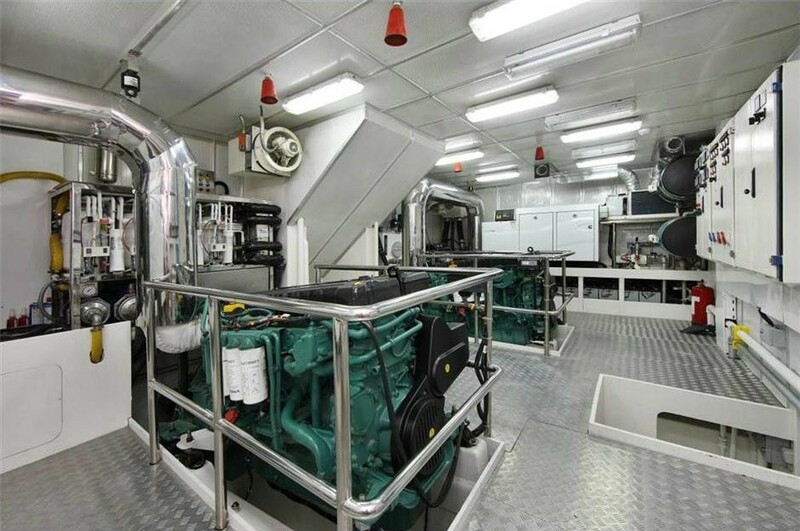 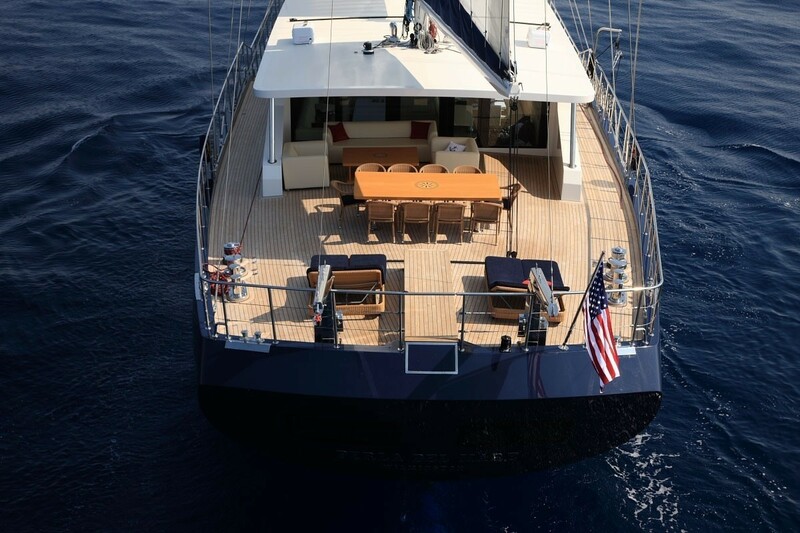 From the aft deck, a few steps lead down to the salon which features a dining table to starboard and a large comfortable leather couch to port. 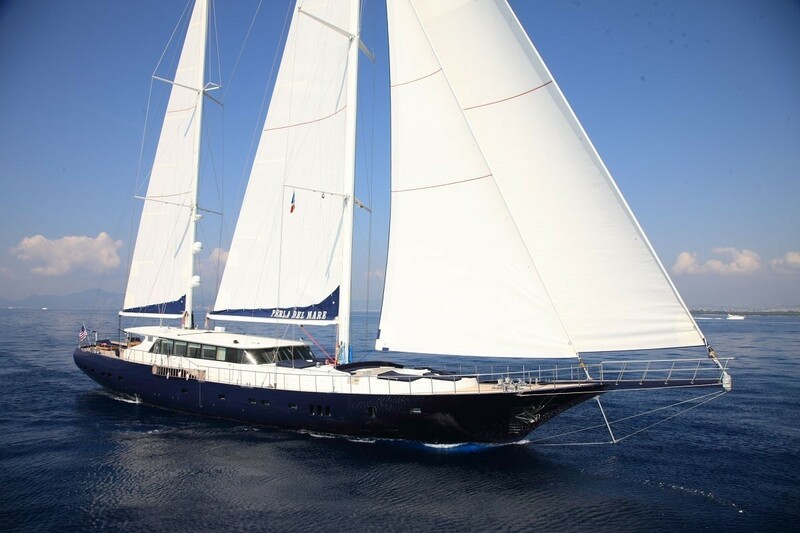 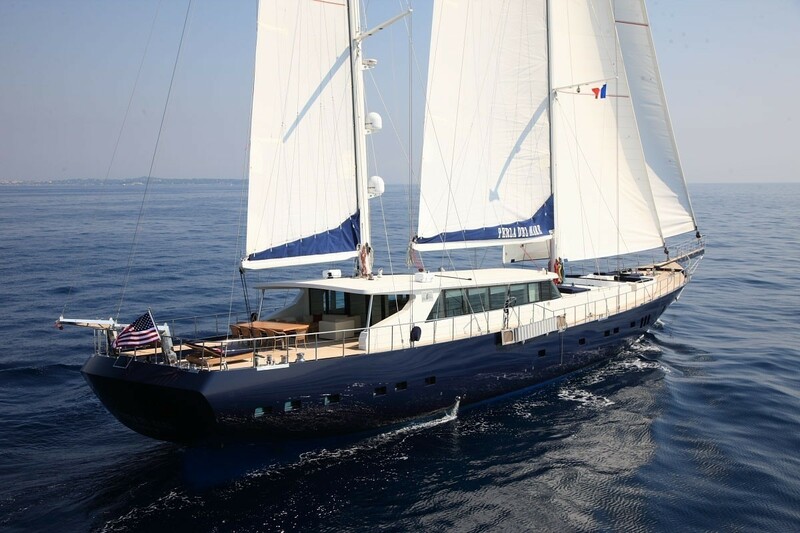 The luxurious Gulet Perla del Mare is able to accommodate up to 12 guests in 6 spacious cabins located on the lower deck. 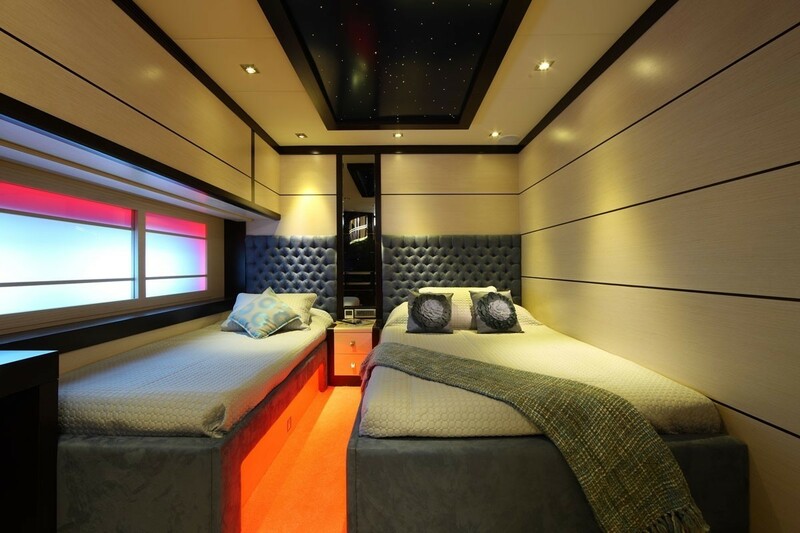 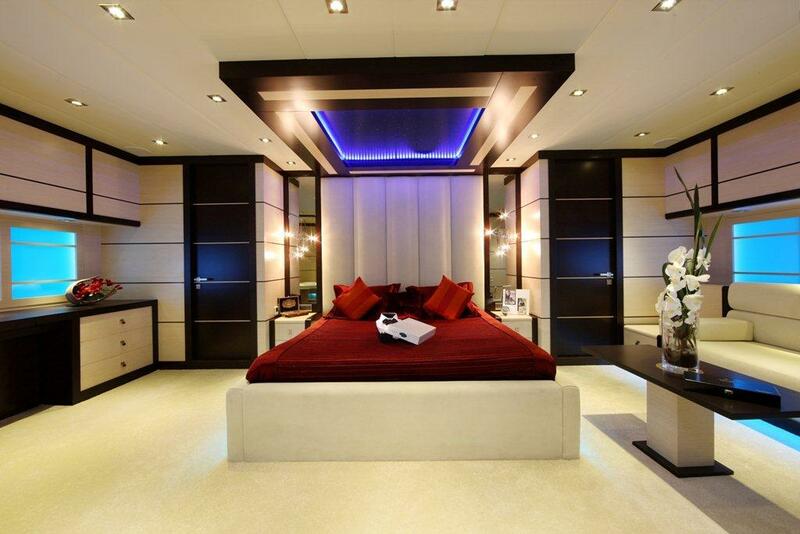 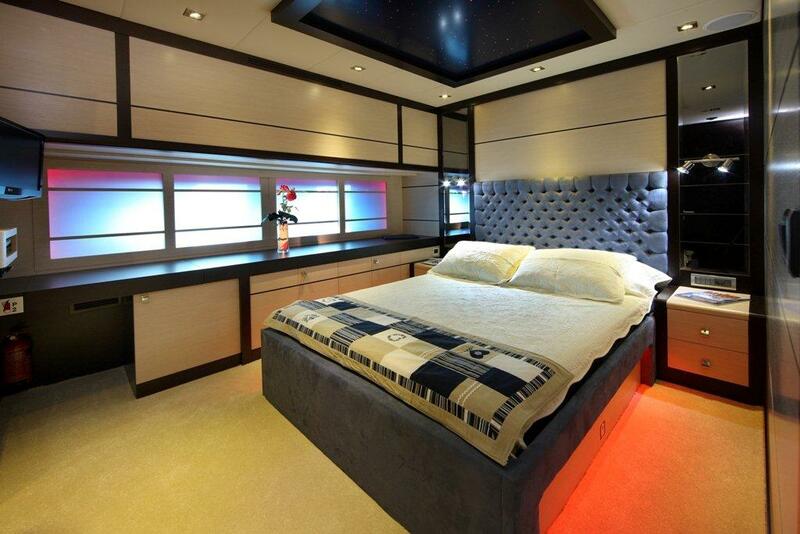 There are 2 enormous master cabins; one located forward with a king sized bed, ensuite bathroom, spa pool and separate dressing area, the second is situated aft with a king sized bed, ensuite bathroom and spa pool. 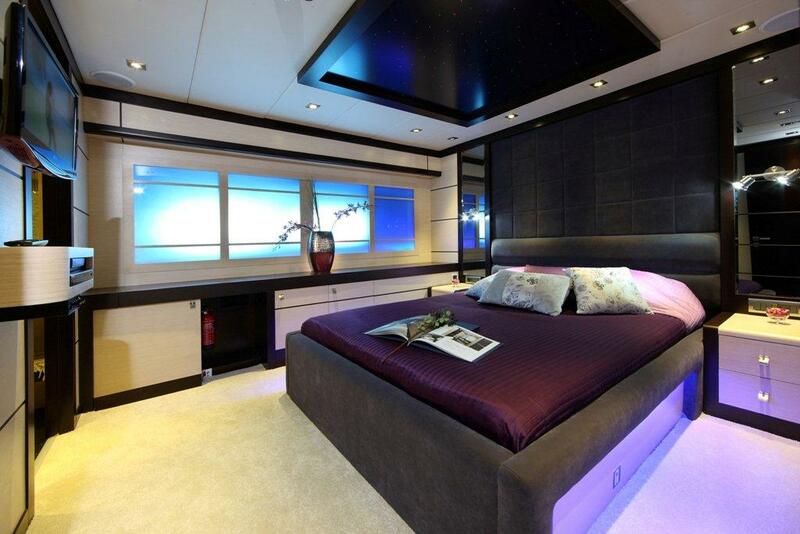 The remaining 4 guests suites are also spacious, with Queen sized beds and ensuite bathrooms. 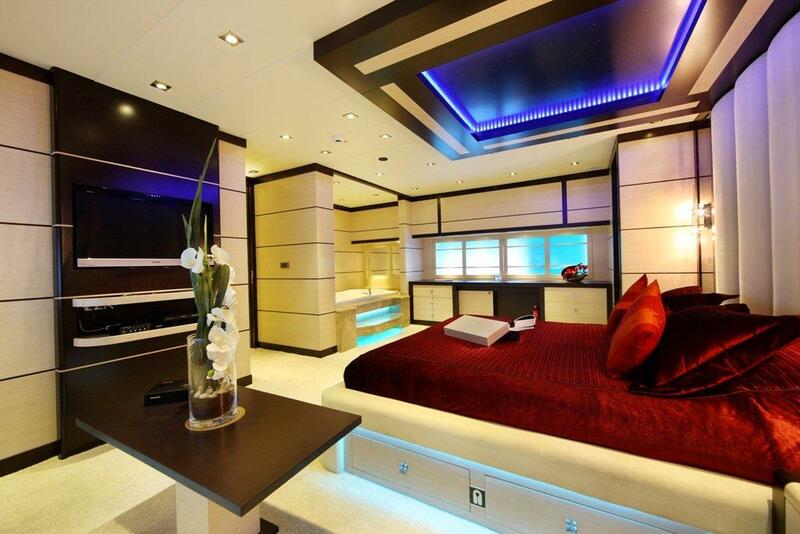 One of the cabins features an extra single bed. 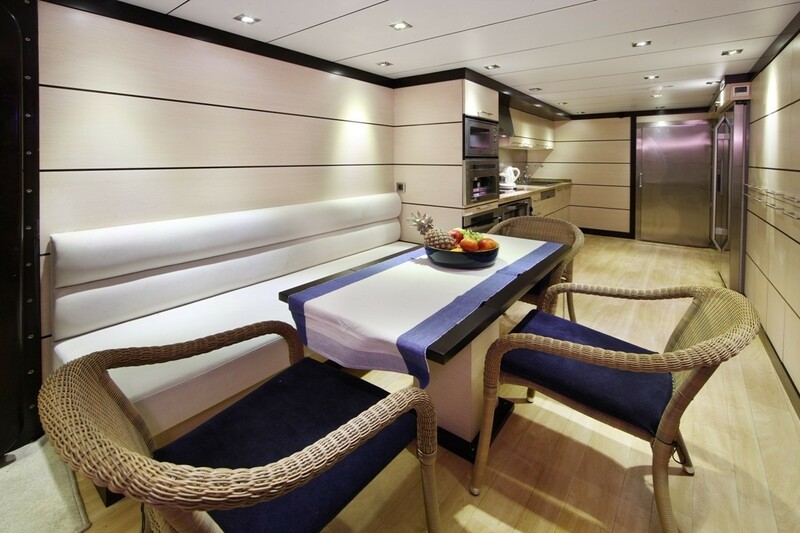 Close attention to detail has been paid throughout PERLA DEL MARE’s design, construction and fit out, benefitting from many ingenious solutions that make life easier on board while enjoying the uncompromised quality of the interior finishing and decor. 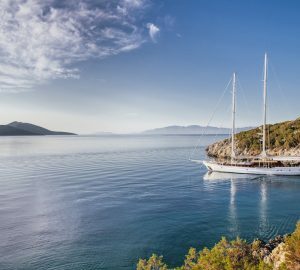 Distinguished and comfortable, sophisticated and seaworthy, Gulet PERLA DEL MARE’s establishes a new definition for luxury yacht chartering in Turkey. 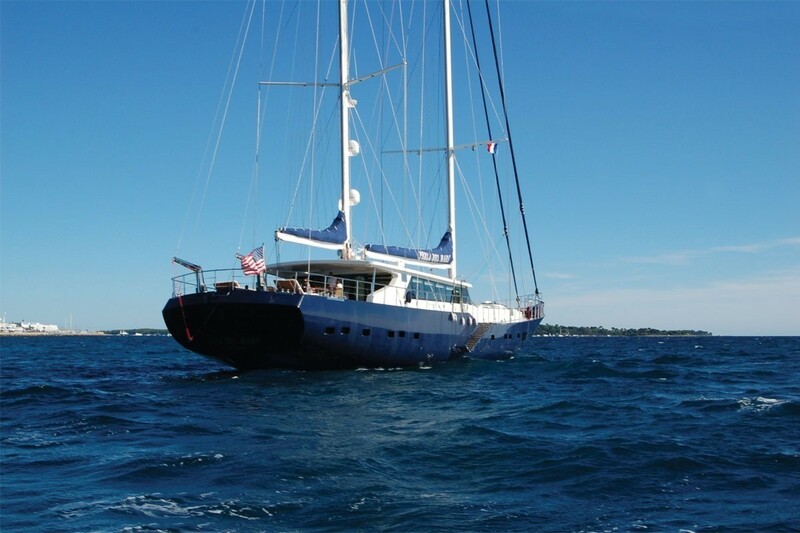 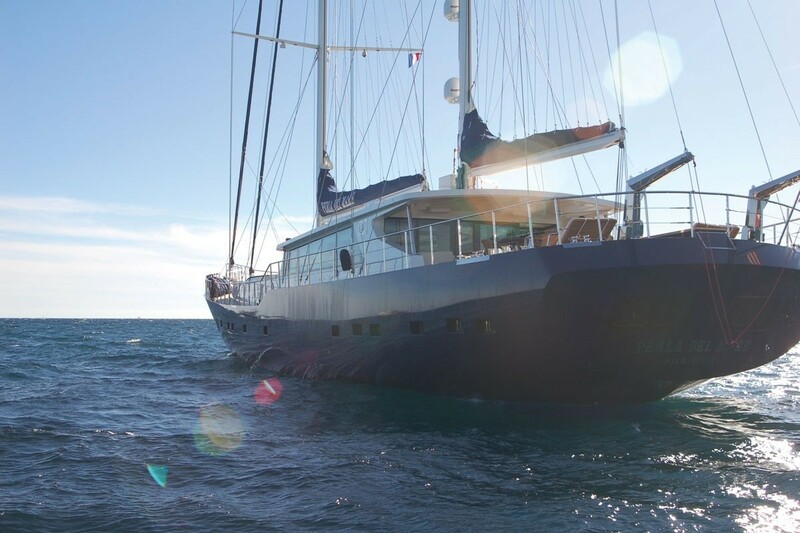 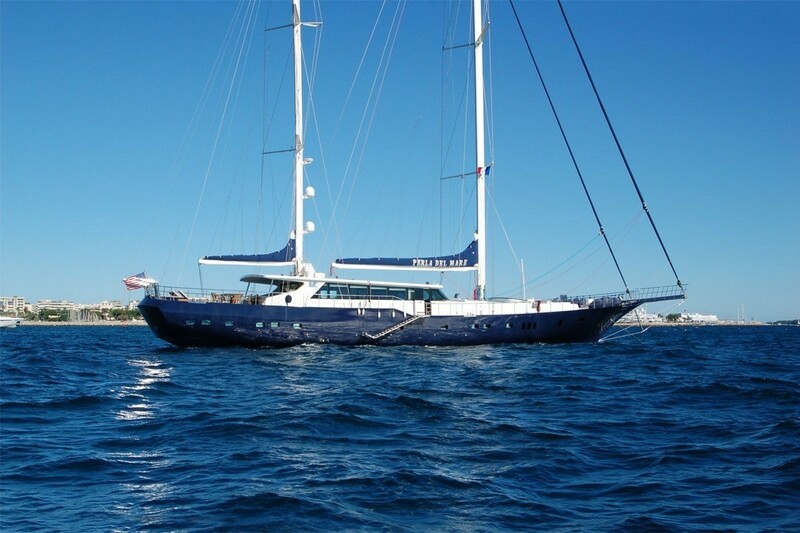 Luxury sailing yacht PERLA DEL MARE offers vast exterior recreational and relaxation areas. 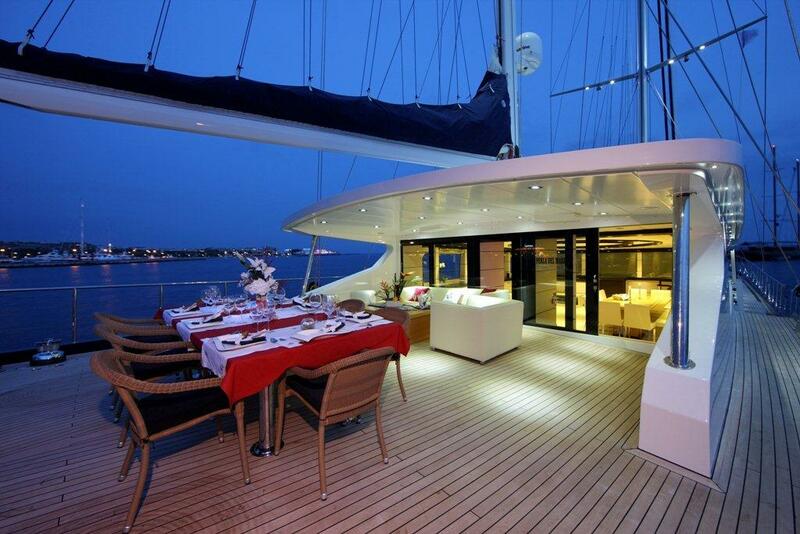 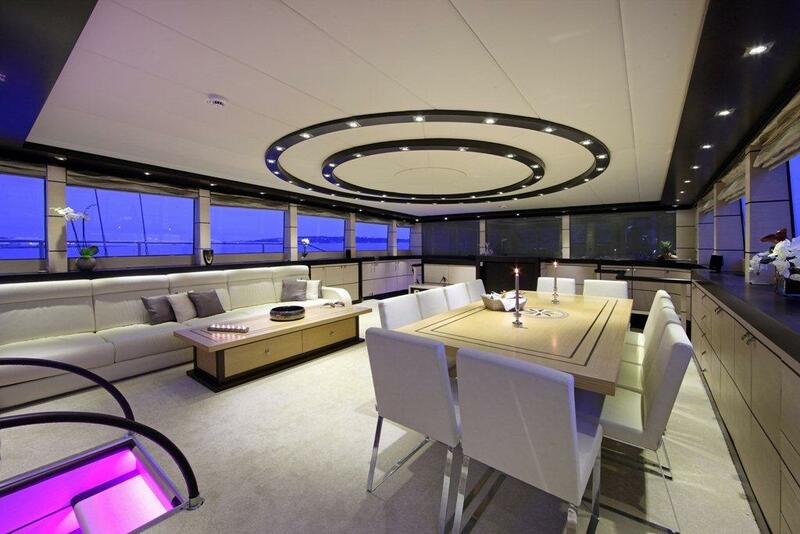 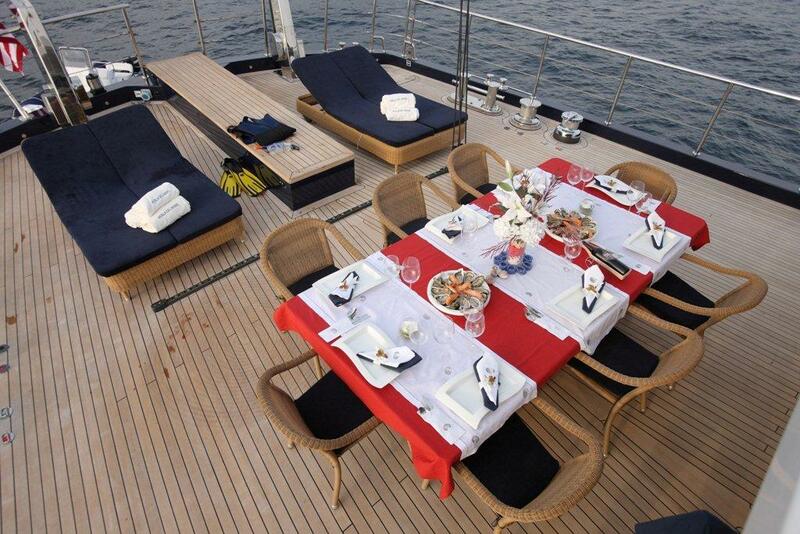 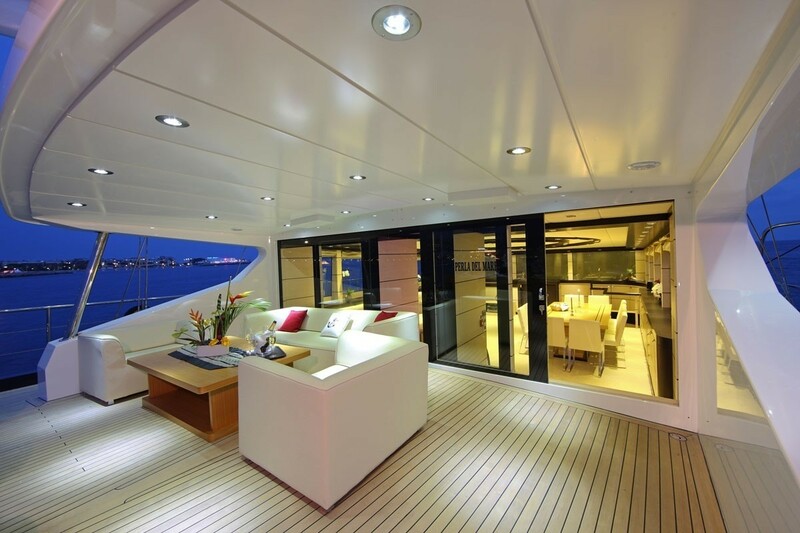 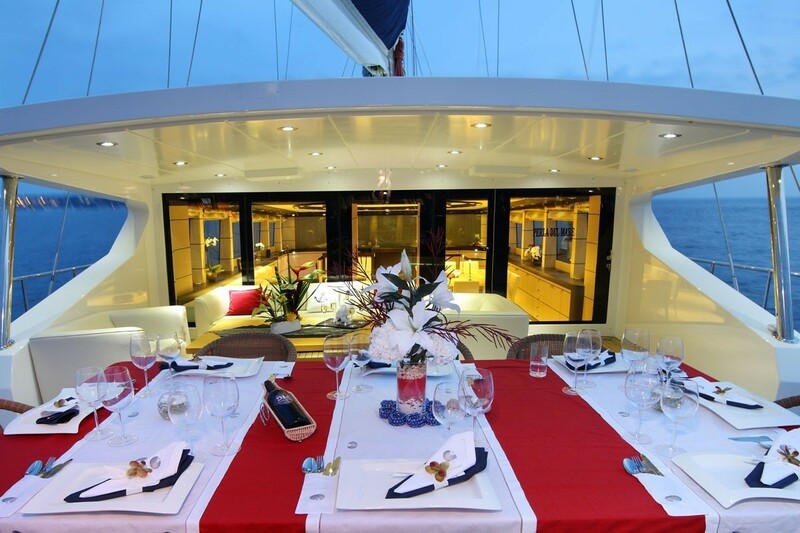 A table for up to 12 guests is located on the aft deck as well as a shaded sitting area with hard top. 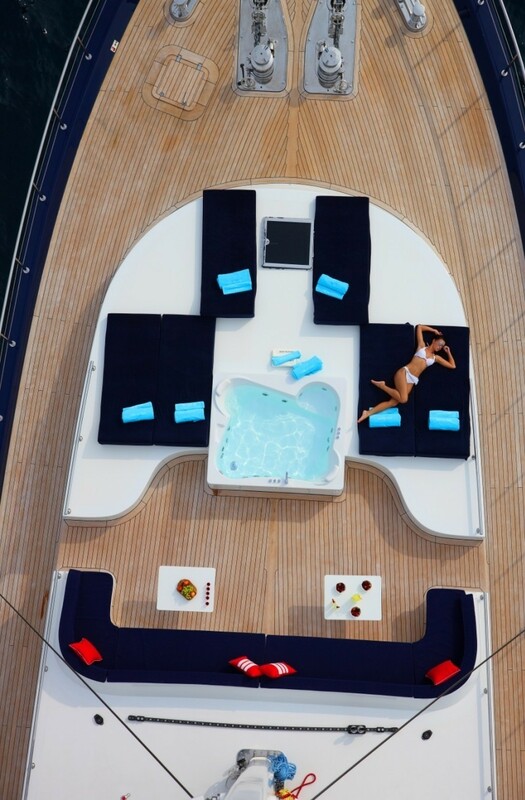 The sunbathing area on the front deck features a thoughtful design incorporating a spa pool surrounded by sunpads a fixed couch and two tables for relaxed, informal meals. 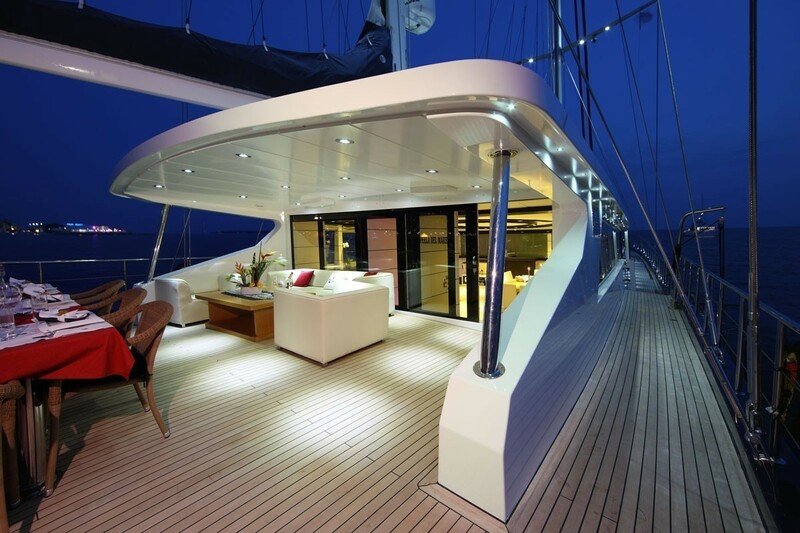 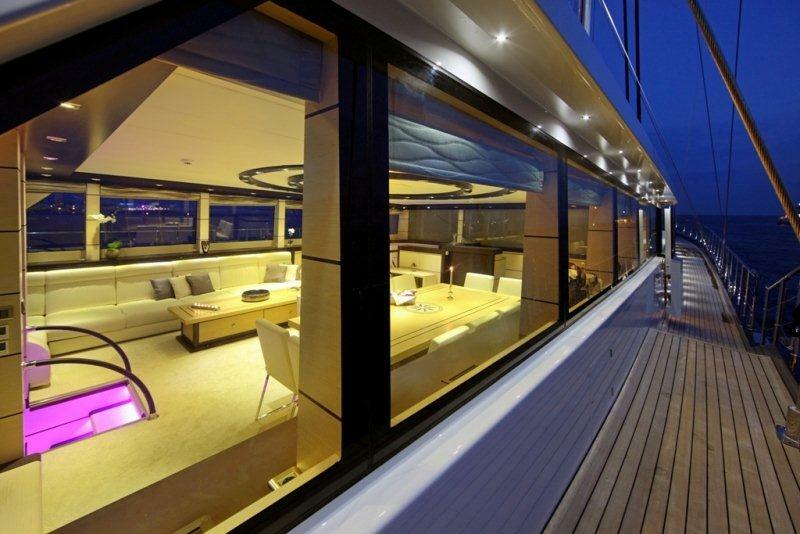 The tinted glass windscreen that curves around the forward edge of this deck is both a practical and a modern-style feature that adds to the exterior appearance of the luxurious charter yacht PERLA DEL MARE. 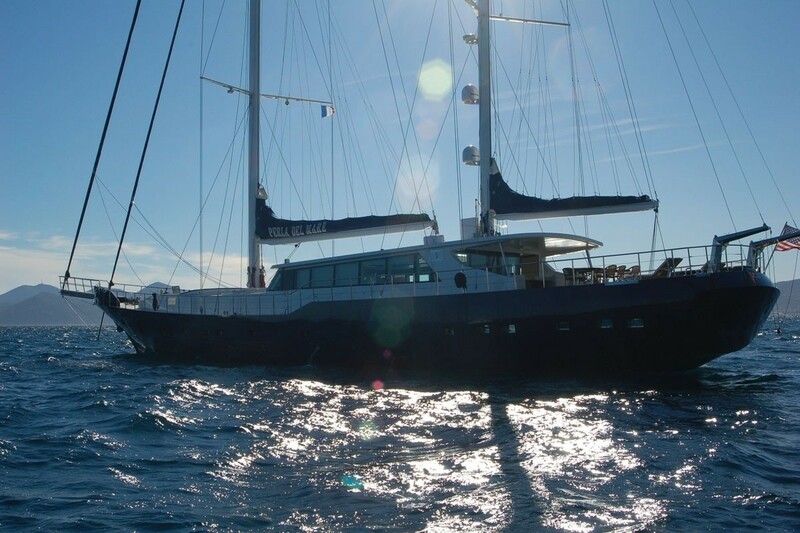 The 2010 Gulet PERLA DEL MARE has a dedicated and professional crew of 7 and is based in Gocek, turkey year round offering an unforgettable cruising experience along the Aegean and Mediterranean coasts of Turkey. 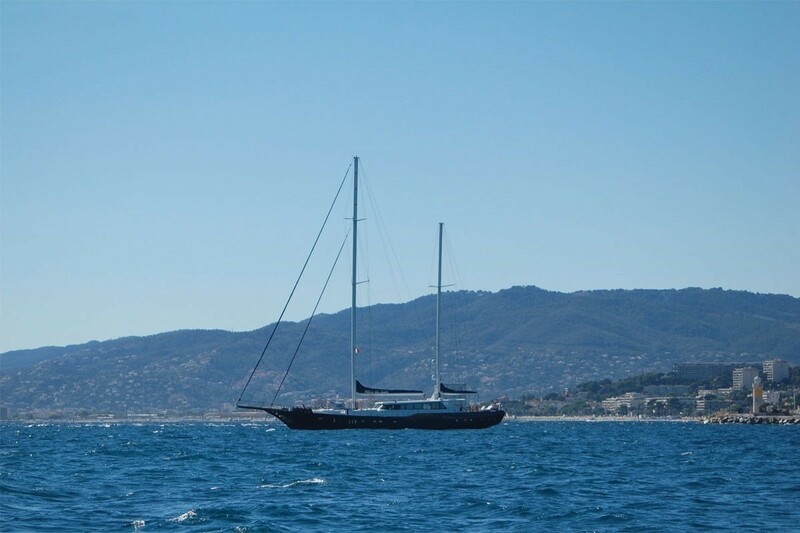 Motor sailor Perla del Mare has the following amenities onboard: A Joker Boat 5.80 m tender with Evinrude 115 HP Outboard, Snorkelling Equipment, a Wake Board, a Knee Board, Water Ski ( Children & Adults), 2 Kayaks and inflatable Water Toys. 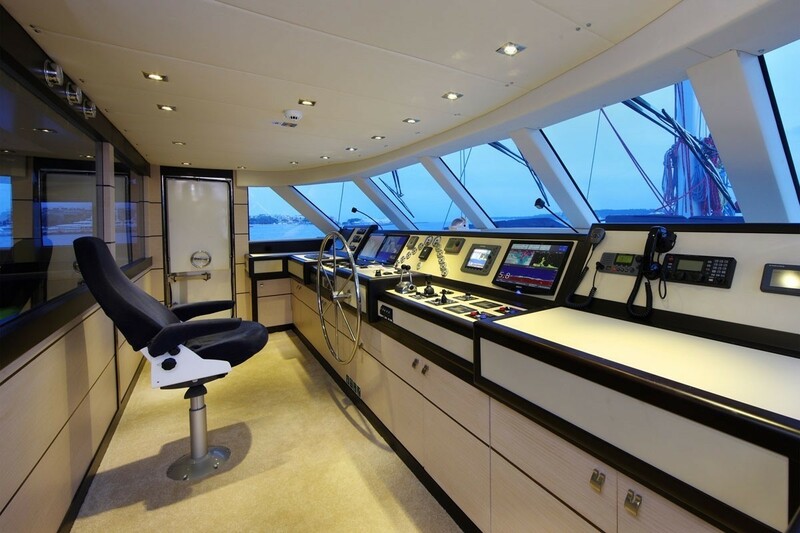 Communications include RayMarine VHF Compass, Icom SSB Ships Computer, Furuno Navtex Internal Pbx with phones in all cabins, Ray marine Satellite and TV systems. 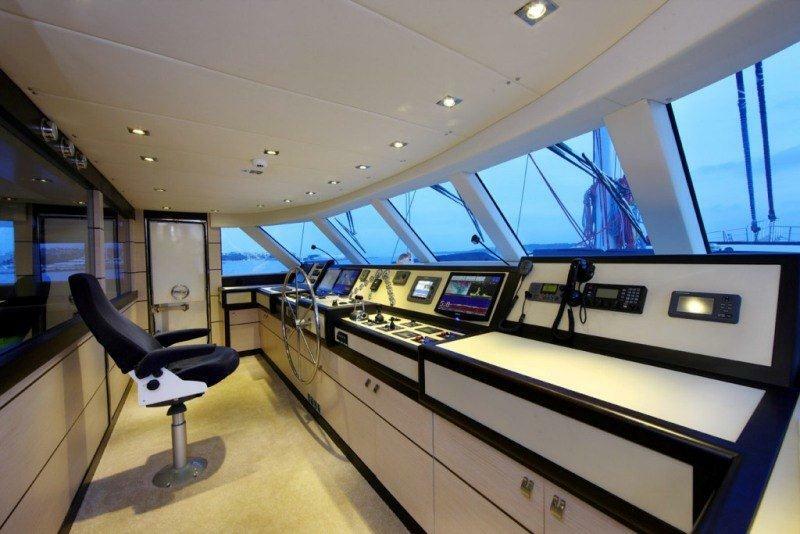 Audio Visual Equipment and Deck Facilities include Main saloon 46” Sony LCD TV Harmon Kardon Amplifiers and DVD Satellite Decoder, Main Master Cabin 32” Sony LCD TV , Samsung Dvd ,Amplifiers, Satellite Decoder +, 22”SEC LCD TV, Samsung DVD and decoder in bathroom, Master Cabin 32” Sony LCD TV , Sony Dvd, Amplifiers, Satellite Decoder, 3 x Double Cabins 22” LG LCD TV, Samsung DVD, Amplifiers, Satellite Decoder Twin cabin 22” SEC LCD TV , Samsung DVD, Amplifiers, Satellite Decoder, Kitchen 22” LG LCD TV, Samsung DVD, Amplifiers, Satellite Decoder.